Making a difference today and for future generations. You’re invited to join the Cradle of Aviation Museum Lindbergh Society. This special group of friends is committed to preserving the future of the museum for years to come. Your belief in preserving the tradition and values of the Cradle of Aviation Museum will help to perpetuate its future. Our Mission: We are an Educational Center preserving the region’s contribution to aerospace, science and technology by inspiring future generations through learning. Our Vision: To become the leading center for aerospace and technology education through the preservation of museum artifacts, expanding educational opportunities towards the development of an innovative workforce for the region. One of the premier historical and educational institutions in the region. A favorite destination for families, seniors, school groups and aerospace enthusiasts. 175,000 square foot facility containing over 75 air and spacecraft displayed in eight museum galleries at historic Mitchel Field. Over 250,000 visitors annually from throughout the Northeast. Over 60,000 school children visit the museum each year. How do I join and become a member of the Lindbergh Society? Any of the following gifts naming the Cradle of Aviation Museum as a beneficiary is how you become a member. A gift of retirement assets, such as 401(k) plans or IRAs, may allow you to give more than you thought possible while reducing taxes that may otherwise consume these assets. You may want to consider naming the Cradle of Aviation Museum a beneficiary of your retirement accounts. A life income gift can be an important way to give you and/or a loved one income for life, provide unique tax benefits and benefit the Cradle of Aviation Museum. Establishing a Charitable Remainder Trust and consider naming the Cradle of Aviation Museum as one of the beneficiaries. Gifts of life insurance policies, when the added protection of an insurance policy is no longer needed, transferring a paid up life insurance policy’s ownership to the Cradle of Aviation Museum can result in tax benefits for you and a generous gift for the Cradle of Aviation Museum. The Cradle of Aviation Museum can also be included as a beneficiary of a policy. Contact your agent or plan administrator to obtain a beneficiary designation form. We hope that you will consider a decision to make an important difference in the future by including the Cradle of Aviation Museum in your will or trust. We are available to meet with you to discuss what option may work for you and aid you in achieving your goals. 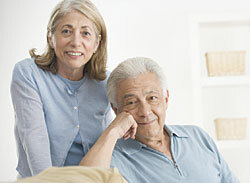 Always seek counsel from your professional advisors on the best estate plan for your individual situation. For more information please call Carol Nelson, Director of Development at (516) 572-4026 or use the contact form below.